Celebrated poets Hollie McNish, Greta Bellamacina, Dottie James and Miriam Nash all penned short love poems as an ode to The Muse by Jessie Burton. Celebrated poets Hollie McNish, Greta Bellamacina, Dottie James and Miriam Nash all penned and performed short love poems as an ode to The Muse by Jessie Burton, as part of our event celebrating female artistry and exploring the idea that a muse can take on any form. Miriam Nash's collection All the Prayers in the House will be published by Bloodaxe June 2017. Find out more about Miriam at www.miriamnash.com. Greta Bellamacina's collection Perishing Tame is out now from New River Press. Find out more about Greta at www.gretabellamacina.com. You can find more of Dottie James' poetry at her YouTube channel. Hollie McNish's wise, rude and disarmingly funny new poetry collection Plum will be published by Picador June 2017. 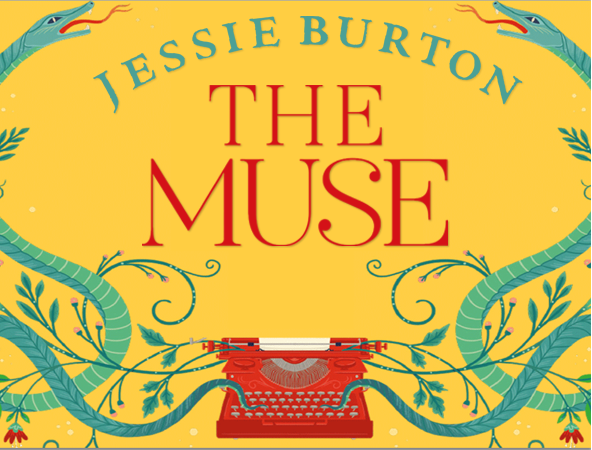 Jessie Burton's The Muse is out now. On a hot July day in 1967, Odelle Bastien climbs the stone steps of the Skelton gallery in London to begin a job as a typist under the tutelage of the glamorous and enigmatic Marjorie Quick. But though Quick takes Odelle into her confidence, she remains a mystery - no more so than when a lost masterpiece with a secret history is delivered to the gallery. An unforgettable new novel from the million-copy bestselling author of The Miniaturist.